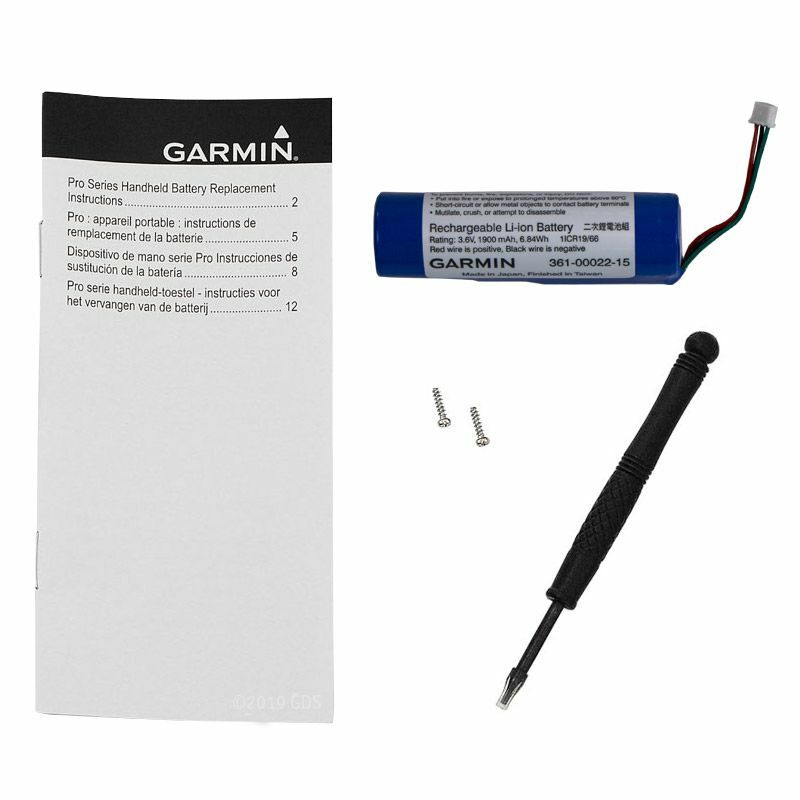 Garmin PRO Transmitter Li-ion Replacement Battery. $34.95. Includes battery, screwdriver, 2 screws, and instructions. Restricted shipping. ONLY available in US48 via Ground Shipping. Bring along this extra Lithium-ion battery for extended training sessions with your PRO Series handheld. This long-lasting rechargeable battery lasts about 80 hours per charge for the PRO 70 and PRO 550, and about 60 hours per charge for the PRO Trashbreaker. Country of Origin: Assembled in China from parts made in Japan.